Notes: Names of those killed in action at Walcheren November 1944. 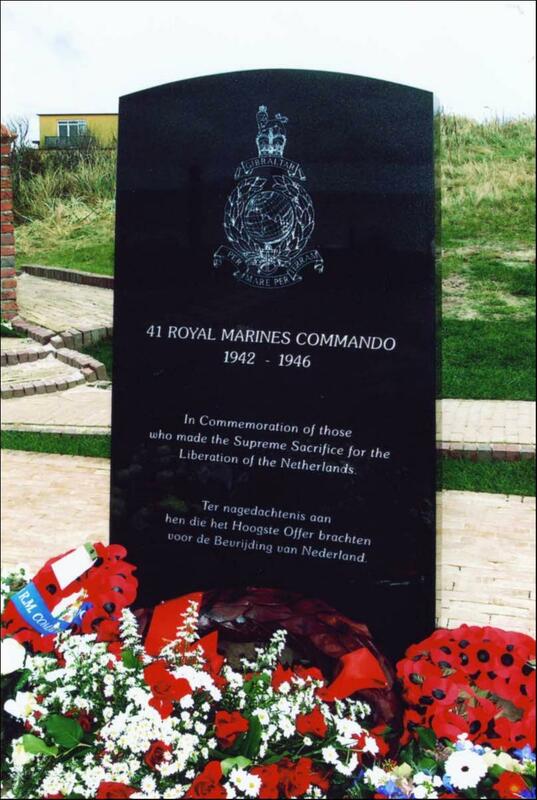 Inscription: 41 Commando Royal Marines Memorial 1942 - 1946 Domburg, Walcheren. In commemoration of those who made the Supreme Sacrifice in the Liberation of The Netherlands.